Important and beneficial to know. 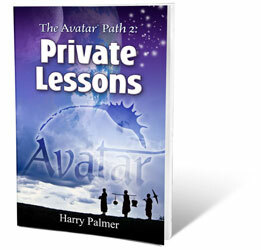 The Avatar Path 2: Private Lessons is the ninth book from Harry Palmer, author of the Avatar materials. This book contains 74 individual lessons, broken into eight broad categories, that were inspired by the advanced Avatar materials. There are times for public broadcast and there are times for private lessons. Toward that end, receive my deepest respect and may your heart-sun shine in service to others. English, Chinese (Traditional and Simplified), Dutch, French, German, Hebrew, Hungarian, Icelandic, Italian, Japanese, Korean, Polish, Portuguese, Spanish, and Swedish.